Its detail of meeting veneers creates an interesting sequence on the top since you can see the streaks and details of the wood. 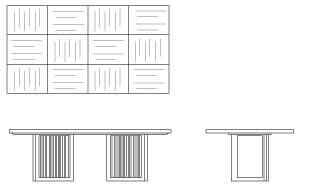 The base of the table has a screen that generates a stylized volume and lightness to the piece. 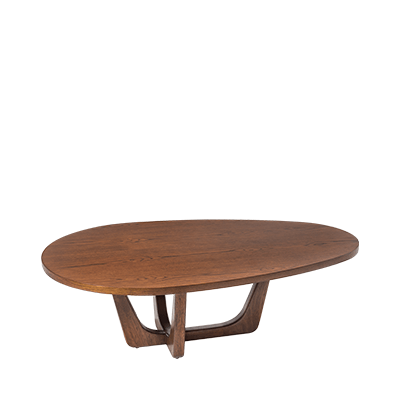 The Rumba cocktail table 100 has an elliptical shaped top with delicately carved wood and its sinuous lines at the base gives this table the ideal mixture of an imposing and refined piece. The base constantly highlights the beautifully shaped curves that characterize the Rumba Collection. 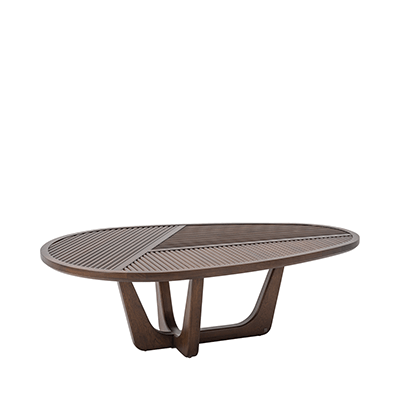 Contemporary meets modern with the luxurious cocktail table. 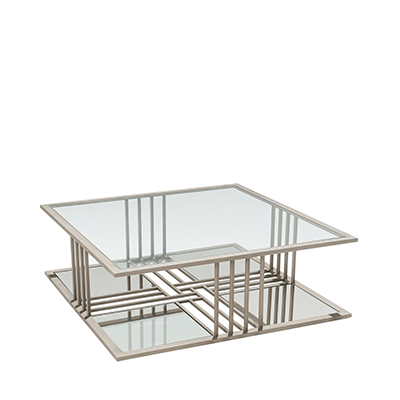 This collection piece features a gleaming metal base and smoked mirror glass which dramatically unfold in diagonally oriented squares within the steel frame. This design adds a layer of elegance and glamour to any scene by the interplay of materials and geometric shapes. Copyright © 2018 Adriana Hoyos Furnishings. All rights reserved.